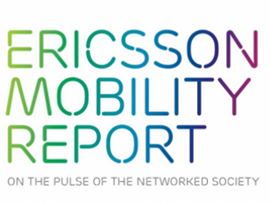 According to data centralized globally by Ericsson, 40% of all terminals sold in Q3 2012 were smartphones, they stimulating users towards using enough data to exceed the average. Data traffic has doubled in the last 12 months and its growth trend will lead to an increase of 14 times the amount of data transferred by 2018. This growth will be dominated by the use of video content, which already represents 25% of the traffic generated by mobile devices and 40% of the one generated by tablets. The total number of subscribers to mobile networks will reach 6.6 billion next year, the number following to increase by 2018 to about 9.3 billion. The most important increases are recorded in China, where operators have received an additional stream of 40 million customers in the last three months, this country being followed by Brazil, Indonesia and the Philippines. 91% of the world population currently has access to 2G/3G connections, the total number of subscribers being around 6.4 billion. Of this number of subscribers, about 6.5% benefit from LTE coverage, the United States having a visible advantage to Europe or the Asia – Pacific area. By the end of 2018, LTE will be available to half of the total number of customers, the leader remaining the United States, which will have a coverage of about 70%, followed by Europe and Asia-Pacific with about 28% and 18%, respectively. The number of LTE subscribers is currently about 55 million, by 2018 being expected to reach the fabulous figure of 1.6 billion.